"A very good bread for your taste buds and your body." Twelve grain cereal was substituted for the seven, and whole wheat flour instead of white....AWESOME!! 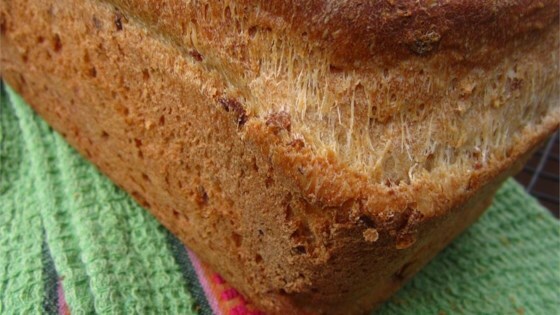 I have made this bread many times and I and my family love it. I even add more of the granola because we like it so much. Make this for our church bake sale. Always a favorite. Have also done it with half bread flour and half whole wheat flour. Followed directions except used a 10 grain mix and subbed canola oil for margarine. Came out perfect, thanks!